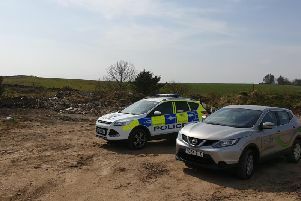 Three teenagers - two aged 18 and one 19 - have been been charged in connection with alleged vandalism and thefts in the North-east. The incidents happened in the Garioch and Formartine areas between May and September this year. Inspector Jon Millar, of the Garioch Community Policing Team, said: “We’d like to thank the public for their assistance in this matter and encourage them to continue reporting any concerns or information to us.